I’ve heard it said that grampa’s are biased when it comes to judging their grandchildren’s artwork. I of course would beg to differ (in my case). I have been, after all, a professional artist for more than fifty years. Juniper has been practicing her colouring and scribbling for quite some time… and they were very artistic efforts in my unbiased opinion. 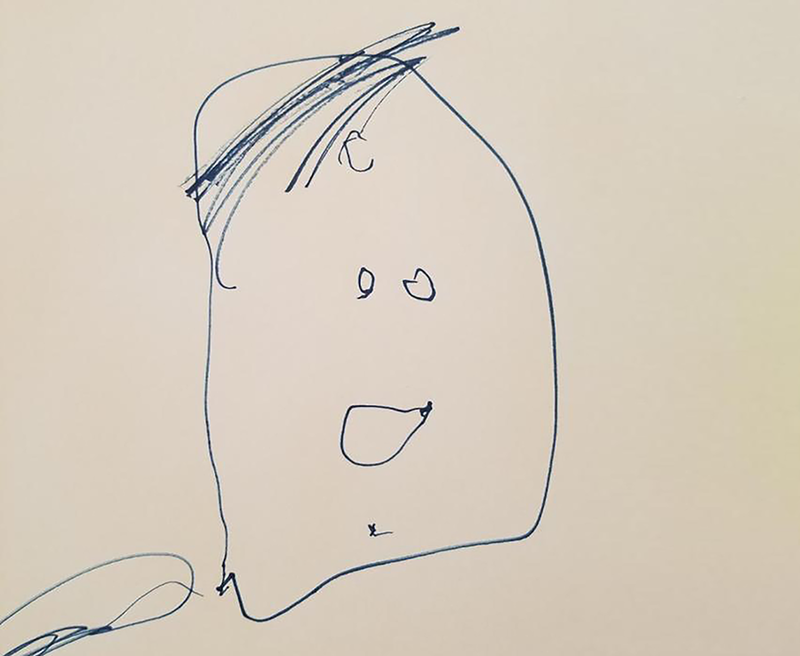 But today, unprompted she decided to draw her first ‘happy face’. The result was FANTASTIC!